You are currently browsing the tag archive for the ‘Wine’ tag. I, like many people, have a bunch of New Year resolutions to help usher in a successful year. Tucked between the more banal aspirations (plans to frequent the gym more, increase my income…), there is one inspired resolution that I look to fulfill—taste five hundred bottles of wine. Five hundred bottles and corks, like motoring through five hundred laps of asphalt in Indianapolis will be difficult. This is a lot of wine for me. To give you some perspective I normally taste about two hundred bottles per year. I picked my figure based on people in the industry and other bloggers who taste upwards of a thousand bottles of wine or more per year. Baby steps. After formulating my ambitious plan I decided to chip away at the mammoth figure and use the first day of 2011 to begin experimenting with wine. Half a year ago I fell in love with Sparkling wines, especially Grower Champagne, searching for the best and most affordable options from indie producers. Unfortunately, I had my blinders on; the world of bubbles was confined to the Northeastern corner of France (*just like French pop music was relegated to Wolfgang Amadeus Phoenix’s single 1901 on KROQ), there are many varieties of sparklers from Cava to Sparkling Shiraz that deserve attention or at least to be acknowledged. Crémant, one such Champagne outlier, a sparkling wine from France that uses the traditional method was my first real foray into a new direction of sparkling wine. 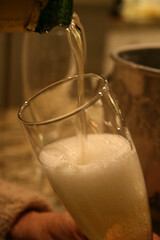 Crémant applies to different regions from within France as well as Luxembourg and it is not restricted to the three varieties of grape that comprise Champagne (Chardonnay, Pinot Meunier and Pinot Noir). 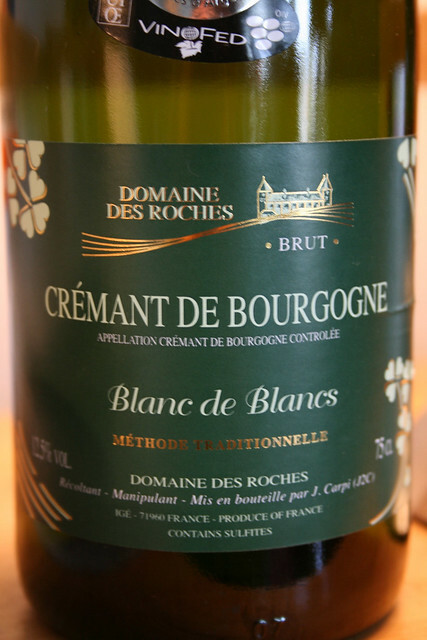 I decided to pop a bottle of Domaine des Roches Crémant de Bourgogne to marry with the feast my mom had prepared and share with my parents. Every year we observe our Dutch tradition and make split pea soup but this year to supplement the erwtensoep we would have couscous with toasted pine nuts and parsley, and a lemon and thyme roasted chicken. 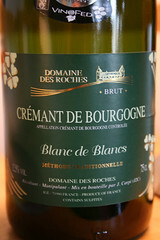 On the nose the Crémant smelled of a green apple jolly rancher, fresh and candied and on the tongue it was more tart green apples, which finished with crisp and biting acidity. The acidity on the palate made it an ideal match for food, especially, the soup that had plenty of fat. The next night we uncorked a bottle of 2006 “Broken Road” Chardonnay from Stonestreet that had ripe peach on the nose. The flavors on the palate however did not translate. The oak was pronounced and a little kick of alcohol came through on the finish. The weight of the Chardonnay was great for the leftovers but it was not my favorite pairing. A few days into 2011 and I have already tried a couple of bottles but it is far too early to dangle the mighty five hundred in front of me. I have to pace myself. I look to Bartholmew Cubbins for inspiration and the will to plod ahead, to make each bottle a bigger and more extravagant event than my blog will allow. It’s going to be a good year. Sweetness can be a great attribute of wine when it is in balance to the other components. 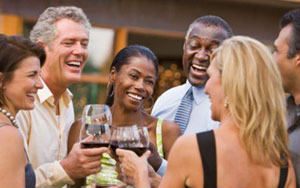 Without it, the wine can lack oomph, being tired and thin. In proportion, sweetness, whether it manifests itself as pleasantly surprising residual sugar on the tip of the tongue from a sip of nicely biting Riesling, or the expected sweetness from a Port, especially in contrast to a salty blue cheese, this can be a favorable trait to cultivate. Sugars develop naturally in grapes, like all fruit, as a consequence of converting energy from the suns beaming rays into the plant via photosynthesis (simplified). But what happens when the grapes do not achieve their desired ripeness? In areas of the old world (Bordeaux, Burgundy and Champagne) and a handful in the new (Oregon and the East Coast), the sun is not as prevalent as it is in our backyard of Los Angeles, the grapes do not always attain an adequate saturation of sunlight. 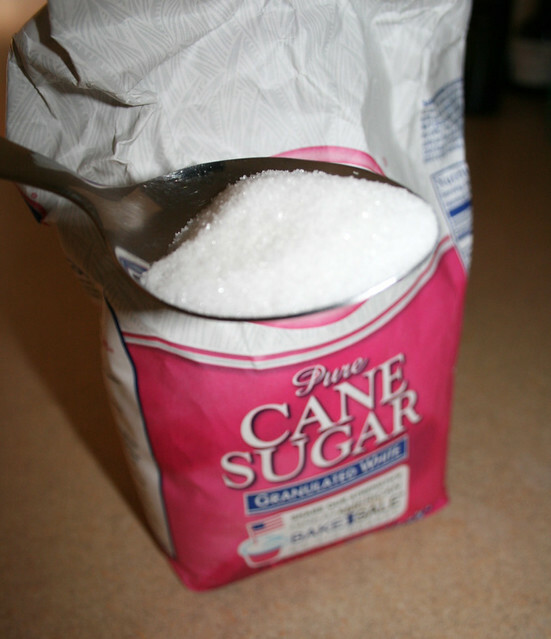 This results in a shortage of sugars. The sugars lost, translates to wine that will not have a lot of alcohol, and alcohol in wine is tantamount to body/weight on the palate. Winemakers cope with less-than-stellar conditions by using chapitalization—or more commonly dubbed amelioration in the states—a technique that calls for the addition of sugar to the wine, increasing the alcohol. This is a winemaker’s weapon, one of a larger arsenal, to deploy when the grapes’ sugars do not completely develop on the vine. The sugars can be added, in addition to other grape related products, to grape must, boosting body. Chapitalization is named in honor of a Gallic chemist and Napolean’s Minister of the Interior Jean-Antoine Chaptal, the first person to support this technique outright though it was historically in application prior to his existence. He was an adamant advocate of the practice, favoring grape products to be added to enhance wine because he recognized that it was a necessary procedure in areas that do not get sufficient amounts of sunlight. Though it is looked at with disdain, or at least frowned upon in areas where it is not required, there is a place for this body boosting method. There are also restrictive measures in place for the countries and viticulture areas that institute it—curtailing wild amounts of additives and protecting the consumers. Chapitalization, amelioration or enrichment, whatever one calls it, the technique’s application may be necessary when Mother Nature is feeling especially puckish, where she withholds optimum conditions. 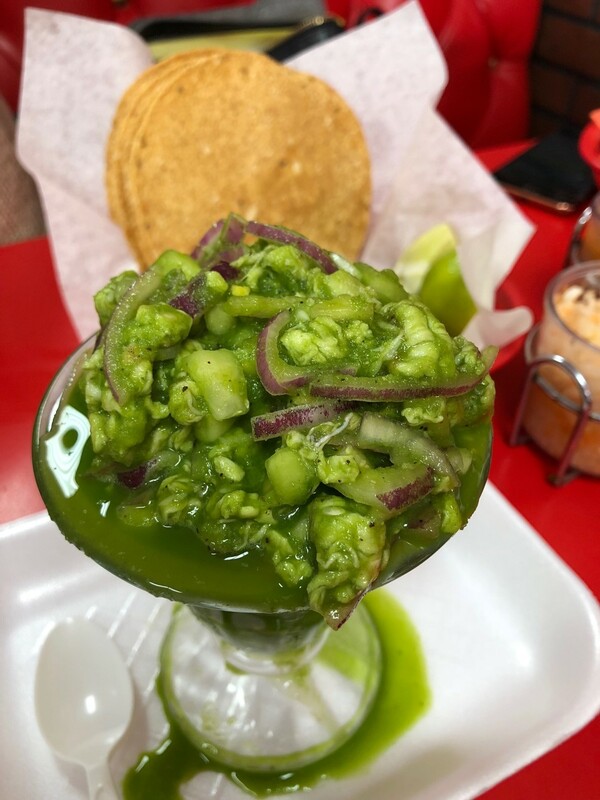 A burgeoning culinary scene, chock full of great choices among its many establishments, Culver City is an epicurean’s destination where it is easy to lose sight of all the good ones. Enter Beacon—an eatery with serious acclaim, as the head chef—Kazuto Matsusaka—worked with Wolfgang Puck (for years), after first coming to America to hone his culinary prowess. I finally made it to Beacon on Sunday evening to try their burger, definitely not the first thing people think about when they go to an Asian fusion restaurant but I have had it on my to-do list since reading about it on AHT. Very few people were in the sleek and modern confines of Beacon. Our group was one of three groups rounding out the night. We had the ultimate attention of the Master chef. The Beacon Burger is available on request, no price is given. Is it a gamble? Not really, if you read reviews or ask the waiter they might say as our waiter did “…it rivals Father’s Office burger” as well as tell you the ingredients. For the drink we split a bottle of Tempranillo (an 02 reserve from Rioja). For me the decision was made easy, Father’s Office was still fresh in my mind and this burger would be a welcomed competitor for the best burger on the block. Beacon’s featured a patty (half-pound) with a miso glaze that is grilled, served with caramelized onions, Gruyere cheese, hearty slabs of bacon, butter lettuce, tomatoes (variety: on the vine) and resting atop slipper bread (ciabatta roll). The burger came with French fries and a little ramekin filled with ketchup. It was an understated presentation, signifying the burger’s legitimacy. After the first bite my fingers were covered in jus. I examined the charred patty that had a pinkish shimmer. The grind had a good crispness to the outside while yielding the tender inside—perfectly cooked. The bacon became a tad tiresome and could have been left off in favor of showcasing the patty. The roll was firm n’ chewy; it was able to make it through the entire meal without falling apart like the trendy brioche bun. The Tempranillo presented great aromatics of fresh red berries and spice. The flavor profile was more refined—the berries were predominant but there was a light vanilla flavor that eked through and the taste was rounded out with a sophisticated pepper finish. The Spanish wine married the flavors of the burger and fries well, preserving the sweetness of the onions and miso glaze while cutting through the char on the patty. Beacon – defined as a source of inspiration (one of four definitions), could be just that; after weeks of failed burger outings and other burger debacles, it was nice to relax and enjoy an outstanding burger. Was it better than Father’s Office? Not sure if I am ready to answer that, but I am positive I will find myself back here enjoying another great hamburger. In early June the futures–wines that have not made it into bottles and thus will not be available for a long period of time—came online for consumers. Offers to purchase the futures have been inundating my email accounts. Wine shops in California and all over the world that procured soon-to-be treasure troves of liquid are now presenting their customers with them. Presenting: futures of Bordeaux, class of 2009. Bordeaux (as I have said before) demands a lot of respect and is one of the most, if not the most collected wine on this planet. It is a hotbed of activity throughout the year but it intensifies when a new vintage is about to be unveiled (generally around April). Critics flock to Bordeaux to begin their assessments of what might be the next great vintage. Certain bottles of Bordeaux, at select vintages are analogous to status symbols like the Maybach or a Rolls Royce. Cases of Chateau Latour, Haut-Brion or Petrus can command sky-high prices and dominate the wine world. The Holy Grail for collectors. I personally will always remain dubious of prices that are in the thousands for 750ml of liquid (regardless of vintage, I cannot justify it) yet those exorbitant price tags are met with fervor because of the sterling reputation of the chateaux. The vintage plays an enormous role in the prospect of buying futures—a good reputation overall implies a steep price. If the ideal conditions for the vintage were met, satisfying the idealized grape-growing requirements, then the product could prove fantastic. However, there are underachievers in every vintage so you need to be cautious even when selecting from those with an excellent pedigree. The reputation of the vineyard is also very important—even in off-vintages (or years that did not yield any wines that were too exciting) certain Bordeaux proved to be bright spots. Ultimately, you should immerse yourself in literature. Follow many sources and do not get mired in the ink cycle—publications that extol indiscriminately. Most importantly, if you find yourself swayed by critics and feel inclined to make a purchase then make sure the people vending the futures are reputable, not hucksters. You are paying up front for a bottle of wine that does not exist yet and will not be in your possession for up to a couple of years. Futures are prevalent, not just in Bordeaux but all over the world. People are offering their wines before they are bottled; it can be costly or even reckless to gamble when buying them, making sure you have done your research will avoid unnecessary purchases and reward you with lucrative (and enjoyable) wines in your cellar. Prudence is invaluable. As for the class of 09 (regarding Bordeaux) it seems bona fide. I have had a lot of wine with friends. Drinking copious amounts of wine—with a focus, primarily on tasting and exposing my palate to new varietals or producers that I have yet to try. Generally, a glass will do, unless the wine is of exceptional quality—that will entail another pour. I rarely, if ever, drink wine by myself; save for cooking, although the urge has set upon me before, especially after picking up a bottle of highly prized grape juice (say a Bordeaux from 2000). However, the yearning is always squelched—the desire to drink that special bottle is less appealing if I drink it by myself. 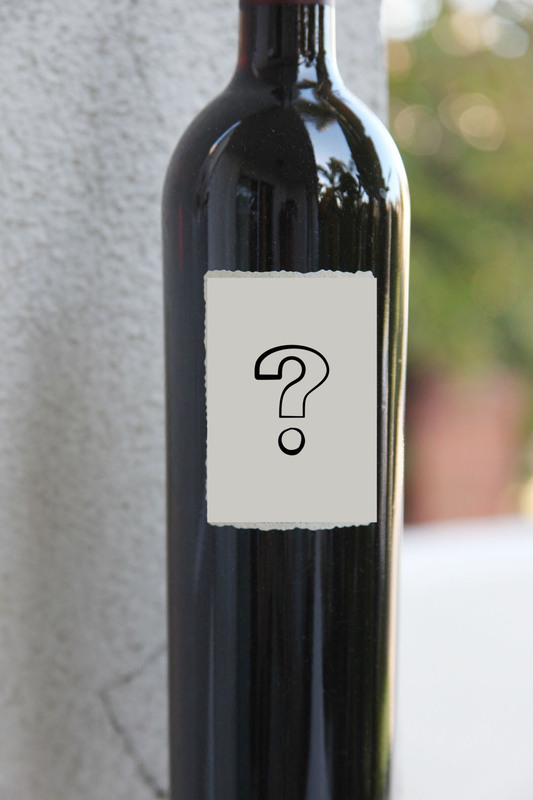 To me, the bottle will be defined by the experience: dinner with a girlfriend, parents or friends to mark an occasion, or celebrating a new addition to the family. This is not to say the wine will not be extraordinary if say, my girlfriend dumps me at the table but it might be enhanced if we are celebrating a milestone in our relationship and the feelings of sheer joy are charging the electron particles around us. I look at each bottle as an occasion, one that is made much better by tasting it with others (as I have been doing lately). While I taste, I am trying to sharpen my palate and my olfactory—learning to detect the subtleties within my Schott Zwiesel glassware and engage the other people to see what they detect. Through a communal tasting a lot can be learned and the experience becomes interactive and stimulating. If you prefer another style of drinking like locking yourself in the cellar and cuddling up with your favorite vintage of Screaming Eagle then be my guest, but for me it might be more fun to share that bottle with a friend or two. I am not advocating my style of tasting/drinking, just telling you where I stand on the wine consumption spectrum. The Foundry on Melrose—a beautiful and modern establishment dedicated to Jazz and dressed up food. Eric Greenspan is responsible for a lot of the wonderful things that go on at this hip eatery—especially the burger. 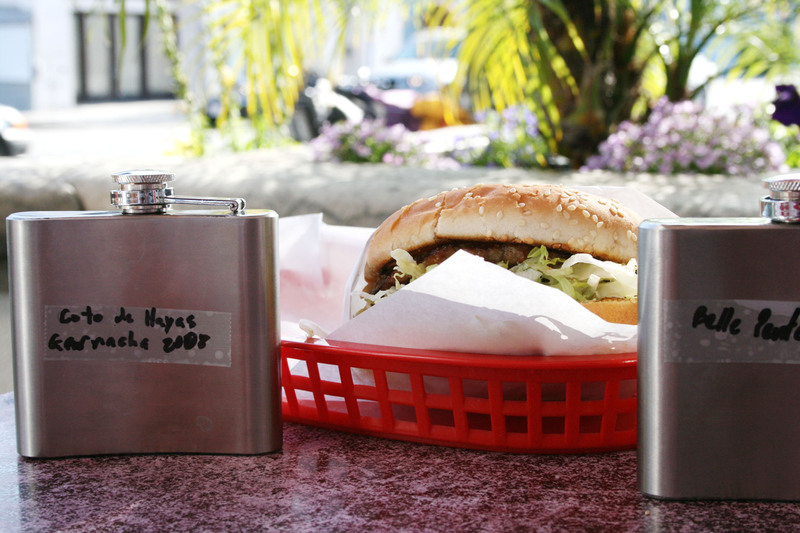 So renowned, it vies for the title of best burger in our big city (“Los Angeles, I’m Yours”). It was here that my group and I took on the Patio Season Burger ($12 each) to see if it could be our favorite as it is for so many others including Quinn Hatfield of Hatfield’s—another reputable restaurant. With the burger, we ordered a bottle of wine ($57 but curiously enough they charged $32) to split four ways and a side of mustard greens ($6). Arriving on a square plate, open-faced on four tiny Hawaiian sweet buns (eight in total) lay an inch thick patty with some arugula, tomato and cornichon pickles. 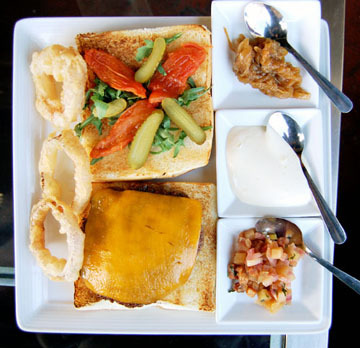 On one side of the square plate there are three separate square dishes providing “summer condiments” (which included tamarind onion tapenade, homemade mayonnaise and pineapple bacon relish). Lining the other side of the square plate are three golden onion rings with a silky smooth complexion. The presentation… stunning. I excitedly dug in after a word on the best way to eat it. That was to cut it into sliders—four miniature burgers to enjoy, or so I thought. Two of the four burgers (mine included) at the table were a tad overcooked; they retained the pink center but were devoid of jus. The onion rings were also served cold. The burger really worked the sweet angle—the rolls and relish were a bit out of balance for my palate. The grind was coarse and became tiresome. For my money the burger had little going right for it. The mustard greens were forgettable. I will say a little bit about the service because I think it is an underrated part of a meal—made especially more important when you have less than stellar service. Our waiter was friendly but not too knowledgeable, leaving something to be desired about the wine and beverages. At the end of the meal we had a little problem with the cheese plate; the server assigned to us for describing the cheeses was reciting notes from a training pad (seemingly amateur). Everyone has to learn somewhere but it was apparent the staff was not as familiar with their fare as some of the other eateries of this lot. It was acceptable but could have been better. I can safely say that this burger is unique—I cannot think of another one quite like this. There are burgers that have similar goals but Mr. Greenspan has taken burger making to another level, leaving the imagination wildly active. Unfortunately, it does not chime with me but others seem to be enthralled (call me a traditionalist). Last Friday I spent the evening with close friends and some newer acquaintances at an LA favorite: Father’s Office. For those readers outside the area, Father’s Office is a gastro pub (probably responsible for the term as far as Los Angeles is concerned) that features an excellent beer list, with a fair selection of wines and drinks to accompany delectable treats from a seasonal menu. While the beer & wine menus may be upgraded and the food might be altered to accommodate new vegetables and meats that become available, a constant fixture will always be the burger. There are many things that interest me about the newer Father’s Office, not the original in Santa Monica; the communal hand washing outside of the bathrooms (in short, the layout), the clientele is always different (not your average bar goers) and the strict adherence to the menu—no substitutions! They offer a lot of nice choices like grilled Sonoma lamb, braised oxtail, duck confit salad yet most people come for the acclaimed cheeseburger. Well, the cheeseburger is no secret to Angelenos—it is frequently said to be one of the best served in the city. It is packed with a great grind of meat stacked in a patty nearly an inch thick served with arugula, caramelized onions, gruyere, Maytag blue cheese, bacon compote wedged inside a soft brioche bun that resembles a submarine sandwich (demisubmarine). The patty is juicy and the salty sweet combination between the bacon compote and the onions is played up to the nth degree. The burger is a little busy and the flavors crowd your palate—masking what is otherwise a perfect grind. The finish is a mixture of cheese and a tiny spice from the rocket (arugula) as the generous patty disappears into the ether. It becomes messy too as the bun breaks down like a clunky submarine, leaving the jus on your fingers and in the basket. I chose a central California syrah to pair with my main selection the duck leg confit salad but saved some room for a couple of shared bites of the many burgers that were on the group’s table. Surprisingly the Melville syrah went well with both but was definitely better suited for the gaminess of the duck. The aforementioned salad was executed well, the dressing, tart vinaigrette that flowed over some fresh greens, figs, duck leg confit and nuts arrived shortly after an order lapping the burgers at my table. The salad, no matter how fancy, was just a salad but it’s nice to try if you feel like something light and substantial. The chef is capable of creating a lot of fantastic foods that make this bar a real treat to go to—especially if you are not thrifty. The consistency is also worthy of a cheer for the few times I have gone the same dish arrives each and every time. So our lively group enjoyed ourselves thoroughly and when our pockets were lighter we packed up and shared four of my bottles of wine (responsibly!!!) at a friend’s house—more on that in a future blog. Father’s Office deserves the title of truly stellar gastro pub (not because of the burger, which falls short in my opinion) because of the diversity of the menu, beverage list and the ambiance. Before my three-week trip to Europe—in the interest of wine and family—I orchestrated an eat-a-thon of my favorite comfort food, something I have said before is essentially American: the burger. I knew well in advance that hamburgers in Europe would not be on the same level of my favorite eateries in California therefore I pledged to not eat one on the trip. The event was dubbed “The Burger Bonanza” and it would include three wines to be paired with three unique burgers from Los Angeles. The wines were an Oregon Pinot Noir from Belle Pente Willamette Valley (2007), Coto de Hayas Garnacha (2008) and the Mercury Geyserville Jug wine (200?). My plan was to pair these wines with three unique burgers and see if the differences in preparation and style from each place made a difference with the wine. 1.) Belle Pente Willamette Valley (12.5% alcohol) possessed a thin body and light violet hue. Its flavors were subtle—light mineral. I chose this wine because of the reputation of the Oregon Pinot Noir wines. 2.) Coto de Hayas Garnacha (14% alcohol) was a full-bodied red wine with a peppery finish and cherry n’ spice on the nose. 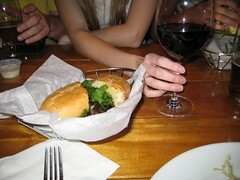 The Spanish wine seemed like it had the depth to pair well with a burger. 3.) Mercury Geyserville Jug wine (14.25%) showed a medium body wine with purple color. This blend acts as a chameleon and enhances flavors of a lot of dishes so I thought it would be a safe bet with the burger. The first spot was Astro Burger—a small chain that serves a clean and simple burger with shredded iceberg lettuce, a little sauce and quarter inch patty on a seedless bun for a modest price. We paired the Astro burger with the three wines and when our canteens were drained the winner was proclaimed, the people favored the Garnacha—largely because of the body and its ability to hold up to the flavors of the meat. There was nothing too exciting about Astro Burger but it was a good start to the rest of the festivities. My plan would soon become mission implausible after our second stop. The Apple Pan dashed my dreams of pairing since just the ordering in the Edward Hopper-esque eatery is enough of a challenge. We decided to forgo the pairings and just concentrate on the burgers. While I had intentions of pairing all the burgers (Astro Burger, Apple Pan and Gus’s Drive Thru) with wine I was unable to do so. Shortly after the first stop our group of 7 had to make it into one of the busiest burger joints: the Apple Pan. It is too bad because I am sure a different wine would have reigned supreme. I look to do something similar in the future; with better planning, the execution I imagine could be spectacular. I did learn though that three burgers down the pipe in a four hour period is a stretch for any eater—well maybe not Kobayashi but almost all others. As for the wine of the day, the Garnacha—although a citizen of another country—proved to be a great partner for the burger matching the flavors and striking a balance that highlighted both parts of the meal. So much for home field advantage—two European wines have been crowned kings. 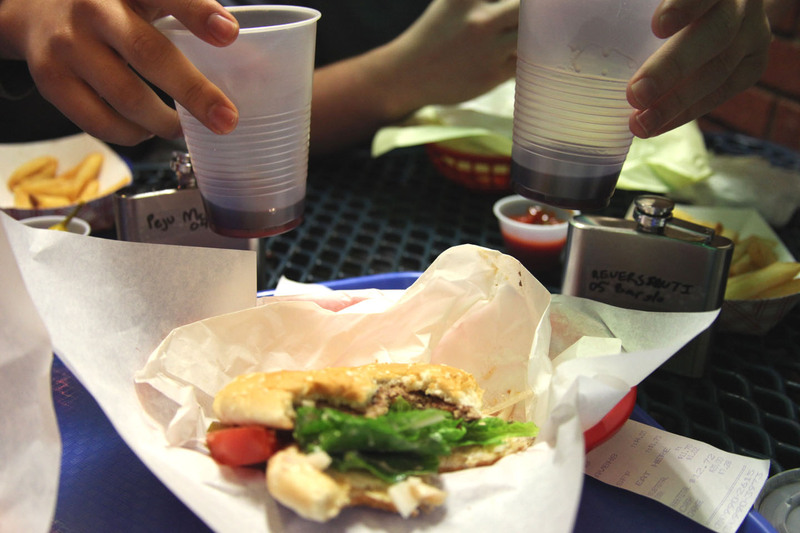 My inaugural wine and burger pairing took place in Brea this weekend with a couple of friends, two flasks and a plastic pitcher full of wine. 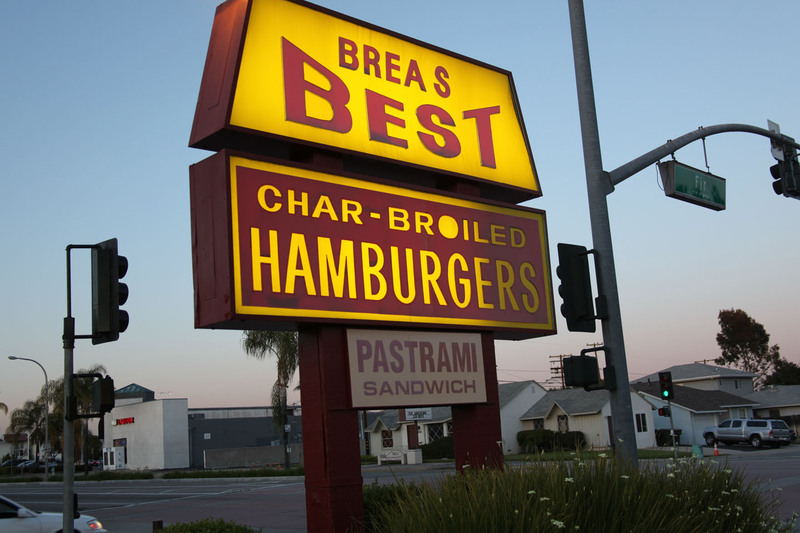 I could not think of a more appropriate “burger joint” to kick off wine and burger tastings than Brea’s Best—where two Greek brothers own the establishment and have been producing fantastic hamburgers as well as other fine meals for quite some time. One of the brothers (Tom) is also an avid wine enthusiast. It has been a favorite restaurant of mine for twelve years. My hypothesis was that American wines would drink best with American food. I was going to limit the tasting to strictly California however one Italian wine (a Barolo) found itself on the tasting menu. The wines were picked randomly since this tasting would govern our choices for the next time. The wines poured were: Reversanti (2005) Barolo, Peju Province Merlot (2004) and finally Thompkin 3rd Degree (2006). 1.) The Barolo from Reversanti (14% alcohol) smelled of anise and cherry—coating the palate fully, big yet smooth. Knowing that this wine pairs well with big meals I thought it had as good as any chance to be the favorite with a hamburger. 2.) The Peju Merlot (14.5% alcohol) from Napa was herbaceous with a tiny bit of vanilla on the nose and medium bodied on the tongue. I selected this wine because I was afraid of overpowering the hamburger with a tight Cabernet—I decided to take a slimmer approach and see if this wine could complement the hamburger. 3.) The Thompkin 3rd Degree (15.8%) from Santa Barbara had the brightest fruit flavor. 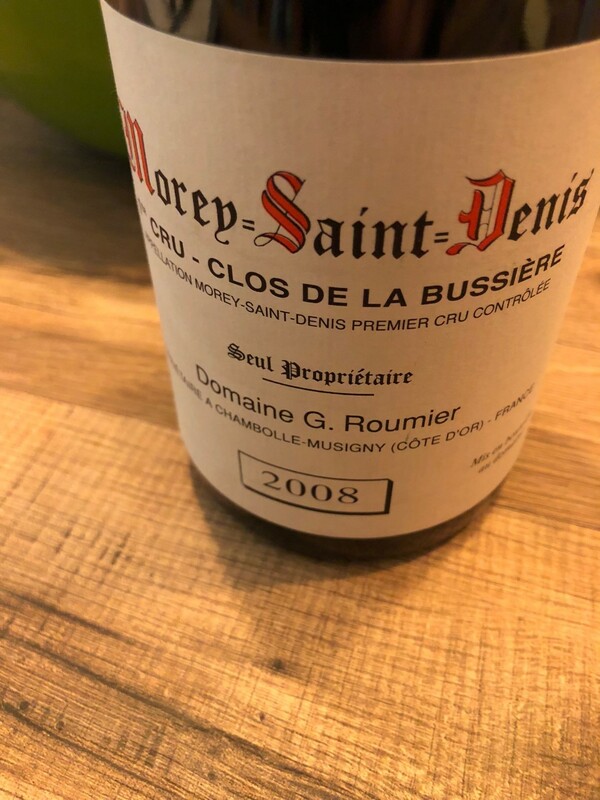 The full-bodied Cote du Rhone via Santa Barbra was a blend of Syrah, Mourvedre and Grenache that seemed to be the strongest of the three choices and could have the advantage when it came to taming the char of the patty. When the burgers arrived we immediately grabbed our three plastic cups and began pouring the contents of our mobile containers. Since this was a new procedure we fumbled around a bit with procedure and lack of resources: Would we share cups? Should we eat inside? We ate outside–far from the restaurant (since that is not an option) and we did share cups. We made various observations about the tasting and how each wine interacted with the burgers. 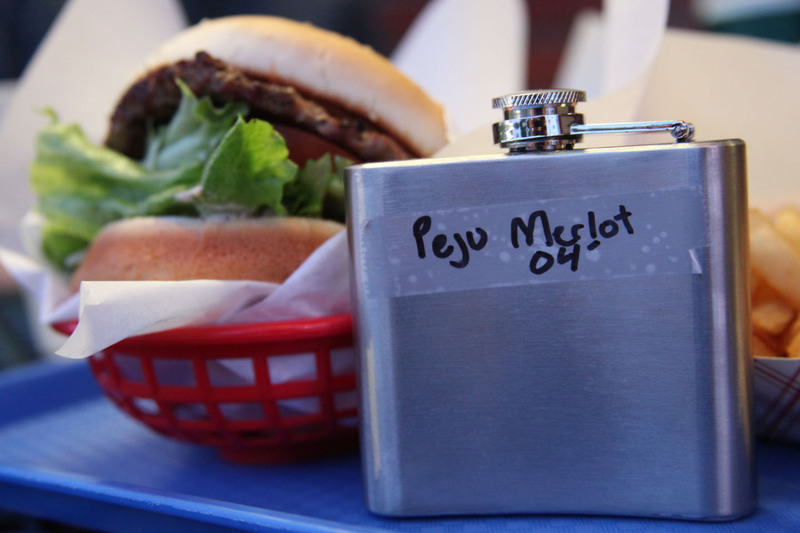 The first and most obvious note was that the Peju Merlot was flattened by the burger—all the interesting flavors that were present on its own were absent with each bite of a burger. Thompkin Cellars 3rd degree shined through the drippings from the patty and the char—as expected, vying for the desired perfect pair of the evening. Its ability to cut through the flavors and still retain all of them was astonishing. The Barolo was enjoyable from start to finish—it only seemed to gather strength with the meal, enhancing the char. Both were better together and that is what I was looking for. I would not think to have a Barolo with a hamburger but in this case the flavors paired synergistically making it my favorite of the three wines poured. The next pairing will be better executed—as we have a point of reference—we will be more confident when pouring. We remedied our cup situation by immediately going to Cost Plus to purchase some wine glasses (without stems). 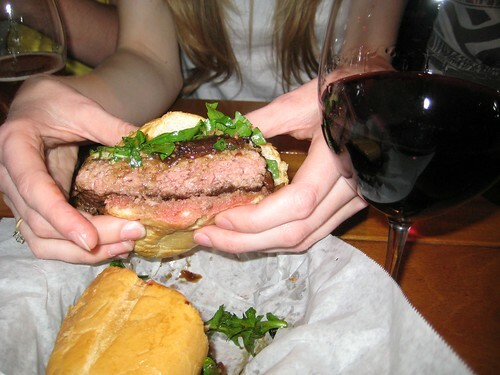 We have also deduced that California wine may not have the advantage when it comes to pairing with hamburgers. The Barolo by a nose.